End of the drama cycles; beginning of the new ways of thinking: This track was played on December 21, 2012 with a group as an intention-setting meditation for the "Beginning of the world Party" to help us cleanse recurring personal and worldly drama cycles founded on old ways of thinking and reacting, as well as set an intention to usher in the new age that brings new way of thinking! 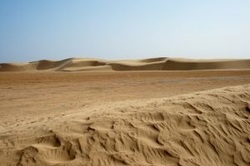 Ask Your Higher Self a Question: Take a guided journey through the desert and into an ancient Egyptian city where your higher self has left you the answer to a question that you've been asking yourself to answer with clarity and for your greatest good. Come prepared with the question. Program a Quartz Crystal with Your Intention: Quartz crystals are a mineral-based lifeform that have many purposes in our lives. Metaphysically, quartz is the most programmable of all crystals, and individual crystals can be programmed to help you fulfill intentions on the physical plane. This guided meditation walks you though how to clear, activate, charge, program, and seal your own quartz crystal. Send helpful thoughtforms to another: Thoughts are things. An idea, a value, a realization, a revelation. Thoughtforms are living creatures themselves. This exercise will allow to send multiple helpful thoughtforms to another person living on the physical or non-physical plane. You will use this opportunity to send thoughtforms of wellbeing, peace, and protection to another person, as well as any other thoughtforms you might want to send, such as a wish that someone make a decision or judgement for their highest self, or some bit of information you feel they will be able to use. With your own mind and heart at peace, and your ego out of the equation, you are fit to help others with your thoughts. 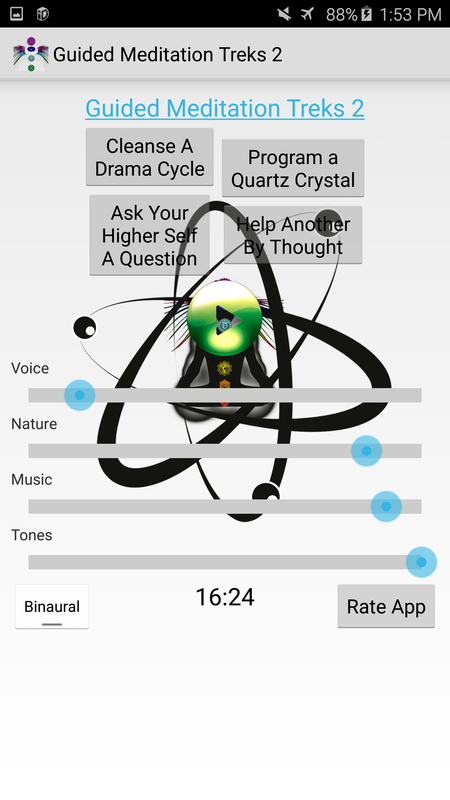 The iOS app and Android App are the same as the CD, except they allow you to select between using binaural beats or isochronic pulses, as well as control the volume of the four elements of the meditation. 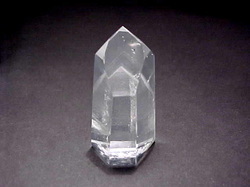 Quartz crystals are a mineral-based lifeform that have many purposes in our lives. Metaphysically, quartz is the most programmable of all crystals, and individual crystals can be programmed to help you fulfill intentions on the physical plane. This guided meditation walks you though how to clear, activate, charge, program, and seal your own quartz crystal. Take a guided journey through the desert and into an ancient Egyptian city where your higher self has left you the answer to a question that you've been asking yourself to answer with clarity and for your greatest good. Come prepared with the question. 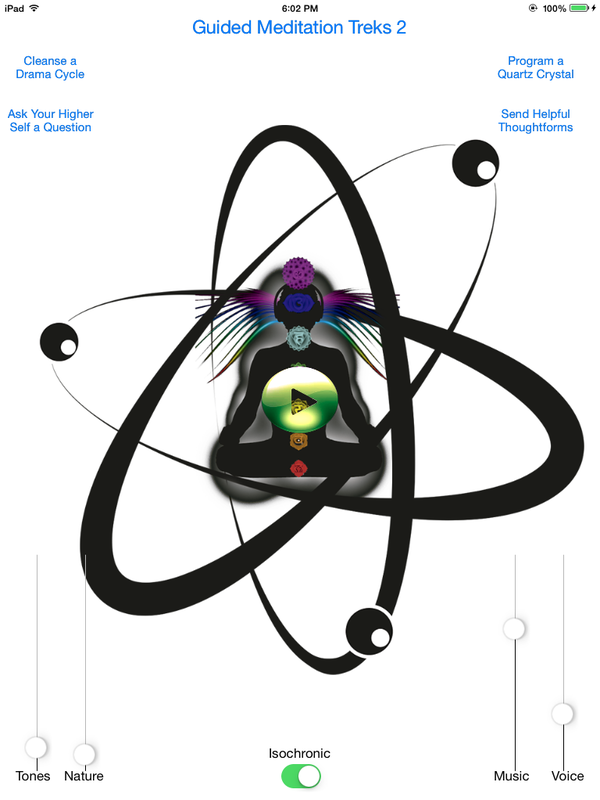 This meditation is was featured at the New Interfaces for Musical Expression Conference in 2013. Thoughts are things. 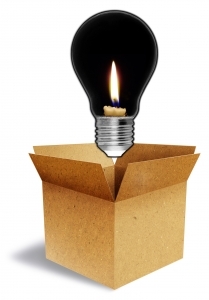 An idea, a value, a realization, a revelation. Thoughtforms are living creatures themselves. This exercise will allow to send multiple helpful thoughtforms to another person living on the physical or non-physical plane. You will use this opportunity to send thoughtforms of wellbeing, peace, and protection to another person, as well as any other thoughtforms you might want to send, such as a wish that someone make a decision or judgement for their highest self, or some bit of information you feel they will be able to use. With your own mind and heart at peace, and your ego out of the equation, you are fit to help others with your thoughts. Beginning of the world party! Jason Hahn (Nadis Warriors, ReEvolution Media) contributed to the vision of the opening intention-setting meditation for this event, which helped us cleanse recurring personal and worldly drama cycles founded on old ways of thinking and reacting, as well as usher in the new age! This was the first meditation to include ambient music, a feature surely to be in the future productions!